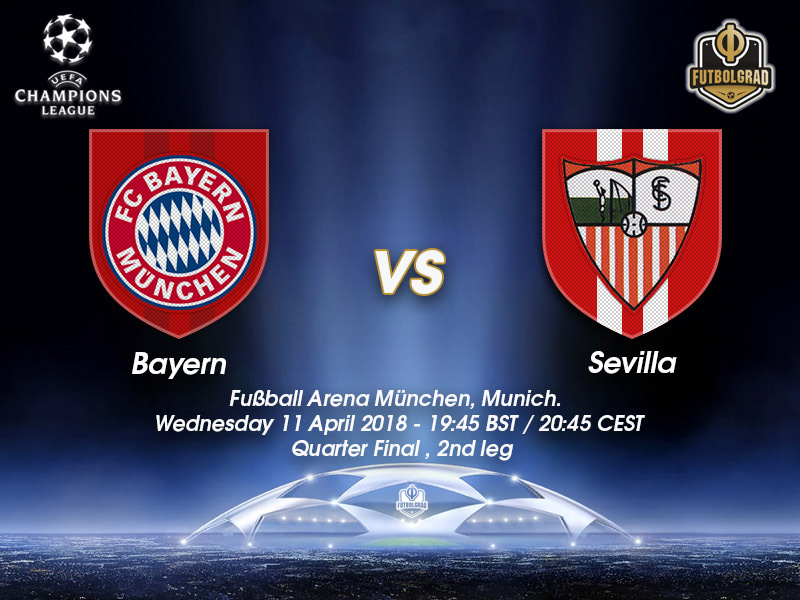 Bayern München vs Sevilla sees the Bavarians host the three times Europa League winners in a clash that decides who goes into the semi final stages. We’re live to bring you the latest. Kick off today/tonight is 19:45 BST / 20:45 CET, and the referee is William Collum (SCO).